According to Valve, the PS3 security breaches might as well never have happened for all the impact they're going to have on Portal 2. The security problems on the PS3 may be playing havoc with the likes of Call of Duty 4 and Modern Warfare 2, but Valve is confident that it has nothing to worry about when it comes to Portal 2, or any of its other games, for that matter. Portal 2 writer Chet Faliszek said that the security problems were obviously bad news for Sony, and that Valve was sympathetic to the platform holder's plight. The situation hadn't made Valve regret its decision to bring Portal 2 to the PS3, however, nor would it be a concern in the game's online co-op mode. What's more, he was confident that the PS3 hacks wouldn't have "any impact at all" on PS3 versions of Valve games. It's likely that this isn't just bravado on Valve's part either. Not only does the studio have a long history of dealing with cheaters and hackers on the PC - largely successfully - it's also using Steamworks for Portal 2 on the PS3, which will provide another layer of security for the game. Hackers might be able to make their PS3s do all kinds of crazy things, but it likely won't mean very much unless they can get around Valve's systems as well. 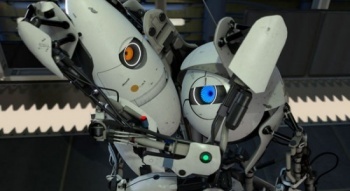 Portal 2 comes out for PC, PS3 and Xbox 360 on April 18th.